An engagement ring may just be the most important piece of jewellery you ever buy, and if all goes to plan it should be kept for life. Whether you’re buying with your partner, for your partner, or speculatively for the future (not unheard of in this business) you need to know a few things before you get started. This gives you an arsenal of facts to take with you to the jewellers, meaning you get the most for your money and what’s right for your future fiancée. The first thing to know is the 5Cs. These are five characteristics in diamonds that determine their quality and value, and encompass cut, colour, clarity, carat and certification. A rough diamond comes to a jeweller and is cut with a depth and overall shape. You should ideally look for a well cut diamond in terms of depth to increase its shine, but whether you go for princess, round, marquise or heart is completely down to personal taste. In terms of colour, the whiter the diamond, the more value (the scale begins at D and ends at Z). Clarity is the next thing to consider, but be aware that it’s very rare to experience a truly flawless diamond, so take advice from your jeweller on each individual piece. Carat is probably the most talked-about feature of a diamond, and they tend to go from 0.5cts upwards. Bear in mind that cut is the most important factor, however, so take this into account before becoming obsessed with the sized. Finally, the certification: This essentially gives you peace of mind that your diamond is the size and clarity advertised so you can be sure the quality of what you’re purchasing is correct. The metal is the next most important thing. Here at David Ian Rosenberg we tend to go for 18ct yellow or white gold, but metals such as titanium and rose gold are becoming increasingly popular. The main thing to be aware of is your partner’s current style, and they type of jewellery they wear on a day-to-day basis. More durable metals like platinum may also be preferable if your partner leads an active lifestyle. It is also hypoallergenic. Don’t be fooled for going for a higher carat, as 24ct gold is far too soft and will bend over time – 18 is the optimum number (around 75%). 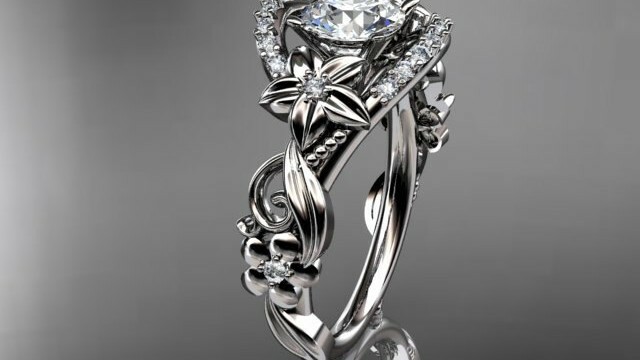 You may also choose to add in accent stones or interesting shapes for something unique to your future fiancé. This is a wonderful way to ensure they know you have put in effort throughout the journey. Do not forget, though, to get their ring size! Ask a friend to take them shopping for fun and get sized in the process or “borrow” one of her existing pieces to measure. One thing we also hear from brides is that they wished they’d had their nails done before the big moment, so perhaps also send her for a pamper session ahead of time. Then, the stage is set for the perfect proposal.